Avalox AVX P900 - 9 ply - made in Sweden! 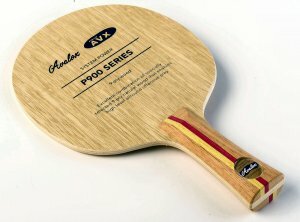 Home Table Tennis Blades Avalox AVX P900 - 9 ply - made in Sweden! New for 2014, the Avalox AVX P900! Excellent combination of specially selected 9-ply natural wood that enables high level allround offensive play. DONIC Waldner OFF World Champion 89 - German-made!